Had problems with previous battery 30mths old but out of warranty. MotoBatt X20U recommended on Goldwing Forum for GL1800. Fitted 2weeks ago and solved all problems order and delivery was first class next day recommend. Easy purchase process and delivery - met my needs exactly. 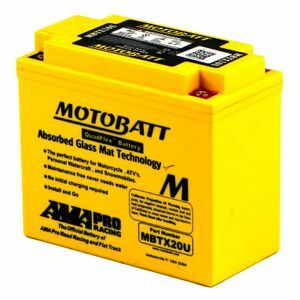 Have used Motobatt batteries before and am very happy with them. They stay charged for long periods when bike is not being used.